From there, you’re able to manage the project using Field Engineer and, once they’ve completed the project, you can send the payment. We offer a no-fuss, on-demand service that allows you to connect with one of the widest, most skilled markets of certified engineers on the internet. Whether you need to manage and maintain your network, to scale or switch, or you simply need someone to do daily tasks and respond to incidents from your team, you can find just the certified engineer with the skills for the job with Field Engineer. 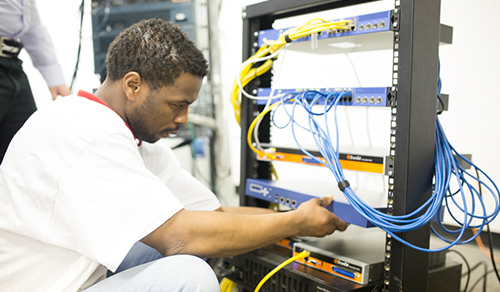 If you want to start working with Juniper certified engineers today, simply sign up to Field Engineer today and post your project. From there, all you need to do is choose the right person for the job.